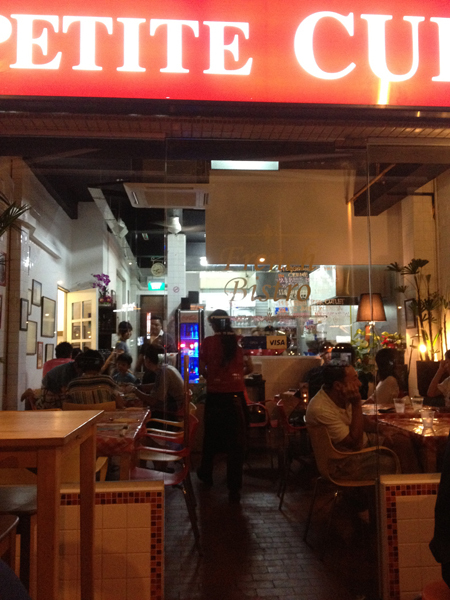 La Petit Cuisine is a little French restaurant tucked in the busy stretch of Upper Thomson Road. A friend recommended me this place to me when I said I wanted to try some French cuisine without burning a hole in my pocket. We ordered two starters with the creamy carrot soup as our safe choice; having soup with a freshly toasted bun is just a great way to wet our appetite. Can’t say the same about the cheese platter with four kinds of French cheese though. I thought it would be fun to try something new because there were two cheese-lovers among us. 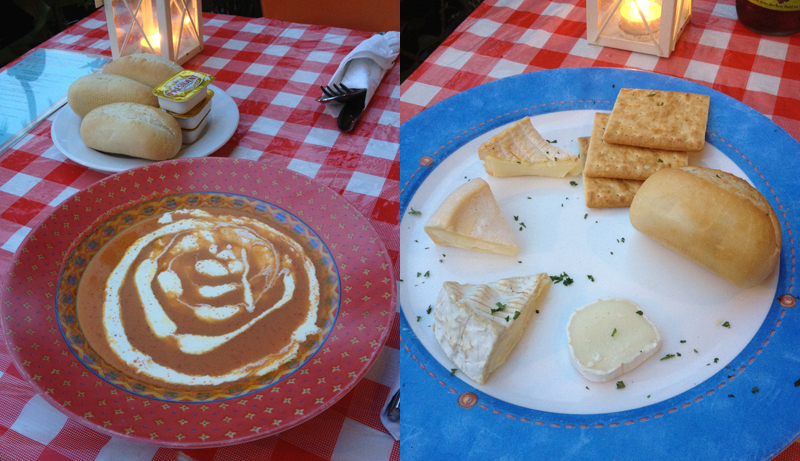 (In anti-clockwise, starting from the bottom) The first piece of cheese had a strong flavour but I could still relate to it. The second had strong goat taste which all of us are not a fan of. By the third piece, which tasted like a dead rat, we have concluded that cheese is an acquired taste. The last piece was really salty and we were ready to move on. The prawn spaghetti was good. Can’t really go wrong with lots of garlic, olive oil and spaghetti. I know spaghetti is meant to be slightly undercooked so that it is a bit tough, but I still prefer it to be softer and more cooked. 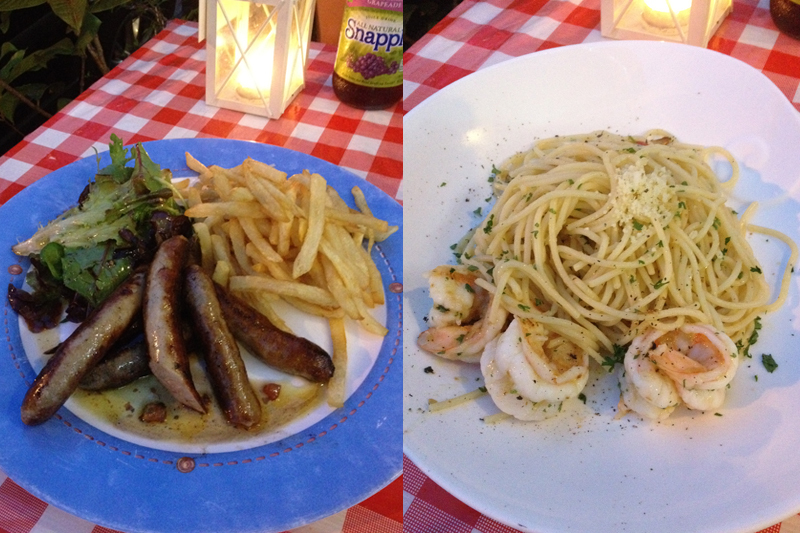 The best dish was the sausages with salad and french fries! The three types of sausages – pork, beef and lamb – look the same, but they taste so different. It was fun to eat because they have their own unique taste, and I can’t decide which is my favourite. 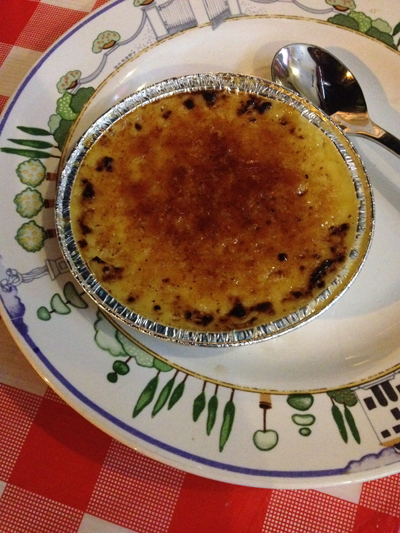 Our friend had a Creme brûlée which was really small and he said it tasted ok only. I need to try more French cuisine! This entry was posted in Food, Weekend belly treats and tagged food, french, photography, restaurants, singapore, yummy by lifestartsonfriday. Bookmark the permalink.